Mike O’Brien (810) 338-9771 6270 Bowen Rd Canal Winchester Ohio 43110 ? ? ? ? 2014 Forest River Rockwood High Wall Series ? ? ? Apply Now Secure Credit Application Applying for a vehicle loan online is one of the quickest and easiest application methods. Our secure application is easy to complete, all you need are a few personal and employment details. Description The Rockwood High Wall Series HW276 is a folding pop-up camper from Forest River. It includes a rear queen tent end bed and a front king tent end bed.Inside this pop-up camper, there is a hard wall shower and toilet. A slide out holds a 72" x 50" dinette, allowing extra room to maneuver around inside. At the front, there is a gaucho sofa with corner seat with the water heater below. The opposite corner holds a cabinet with the microwave.The kitchen offers a double sink, refrigerator, and three burner stove top with oven. An optional 20000 BTU forced air furnace can be added to the Rockwood HW276.Outside you will find an awning and a RVQue gas grill. Options and Standard Features Basic Information Dry Weight: 2806 Trailer Weight (Pounds): 279 Mileage: 0 Sleeping Capacity: 7 Length (Feet): 19 Construction Body Material: Steel Sidewall Construction: Tent Fabric Dry Weight (kg): 1272.8 Dry Weight (lbs): 2806 Condition: Used VIN: 486743_290596-1 Stock Number: 290596-1 Trim: HW276 Model: Rockwood High Wall Series Make: Forest River Year: 2014 Suspension / Braking / Wheels Wheels Composition: Aluminum Rear Tire (Full Spec): 14 Inch Rear Wheel Diameter: 14 Brakes Wheels Tires Front Brake Type: Not Applicable Rear Brake Type: Electric Drum Drivetrain Number Of Axles: 1 Safety Smoke Detector Propane Alarm Exterior Exterior Flood Lights Exterior Grille Exterior Shower Interior Interior Wood Finish Wallpaper Living Area Location: Center Comfort Sofa Heated Mattress Number Of Sofas: 1 Number Of Convertible / Sofa Beds: 1 Sofa Material: Cloth Convenience Power Vent Fan Leveling Jack Type: Front Manual / Rear Manual Entertainment CD Player Radio Speakers TV Antenna Prewiring Cable Prewiring Satellite Prewiring Number Of Radios: 1 Speaker Location(s): Interior / Exterior Slide-Outs & Awnings Slide Outs: 1 Slideouts Utility Hookups Number Of Propane Tanks: 2 Water Heater Pump Power Mode: Propane Water Heater Tank Capacity (g): 6 Water Heater Tank Capacity (l): 22.7 Total Propane Tank Capacity (gal): 9.4 Total Propane Tank Capacity (lbs): 40 Water Heater Tank Rear Bumper Drain Hose Carrier Propane Tank Cover Propane Tank(s) Holding Tanks Water Capacity (Gallons): 11-20 Holding Tanks Number Of Fresh Water Holding Tanks: 1 Number Of Gray Water Holding Tanks: 1 Number Of Black Water Holding Tanks: 1 Total Black Water Tank Capacity (gal): 12 Total Black Water Tank Capacity (l): 45.4 Total Fresh Water Tank Capacity (gal): 26 Total Fresh Water Tank Capacity (l): 98.4 Total Gray Water Tank Capacity (gal): 12 Total Gray Water Tank Capacity (l): 45.4 Electrical / Generator Exterior Plugs Ground Fault Plugs Battery Heat Prewiring Battery Converter Amps: 35 Battery Power Converter Bedroom / Bath Bathroom Bathroom Location: Center Expandable Bunk Expandable Bunk Material: Soft Shell Number Of Bathrooms: 1 Number Of King Size Beds: 1 Number Of Queen Size Beds: 1 Shower Shower Door Type: Curtain Toilet Toilet Type: Plastic Upgraded Matress Kitchen Microwave Oven Sink / Faucet Kitchen / Living Area Oven / Stove Refrigerator Number Of Oven Burners: 3 Oven / Stove Layout: Oven / Stove Kitchen / Living Area Flooring Type: Vinyl Kitchen Location: Center Kitchen Table Configuration: Bench Seats Specifications Height (closed) (ft): 5.9 Height (closed) (in): 71 Height (closed) (m): 1.8 Height (closed) (mm): 1803.4 Hitch Weight (kgs): 126.6 Length (closed) (ft): 19.3 Length (closed) (in): 232 Length (closed) (m): 5.9 Length (closed) (mm): 5892.8 Length (ft/ft): 25 Length (ft/in): 9 Length (in): 309 Length (m): 7.8 Length (mm): 7800 Number of Doors: 1 Payload Capacity (kgs): 424.1 Vehicle Information Year: 2014 Make: Forest River Model: Rockwood High Wall Series Condition: Used Contact Specialty RV Sales 6270 Bowen Rd Canal Winchester Ohio 43110 View Map Ask for:Mike O’Brien Cell:(810) 338-9771 Contact: ?Contact Us Hours Mon-Thurs:09:00 AM-07:00 PM EST Fri, Sat:09:00 AM-05:00 PM EST Sunday:Closed ?Credit Application ?Directions to Dealer ?Contact Us Terms Placing a Bid: Your bid constitutes a legally binding contract to purchase this vehicle. Please do not bid if you're not seriously interested or financially able to purchase this vehicle. Please read eBay's User AgreementSpecialty RV Sales reserves the right to, Obtain and verify the registered information of all users who bid on this auction. Cancel any and all bids at our discretion, or end the auction early if necessary.Bidders Age: You must be 18 years of age or older to Bid. Special eBay Bid Retraction Rules: Please read eBay's "Retracting a Bid" If you place a bid before the last 12-hour period of the auction: You may retract that bid before that last 12-hour period but only for exceptional circumstances. You will not be allowed to retract that bid during the last 12-hour period of the auction. If you place a bid during the last 12-hour period of the auction: You will be allowed to retract the bid for exceptional circumstances but only if you do so within one hour after placing the bid.Funds & Financing: For help in arranging for a Pre-Approved loan or for any questions please e-mail or phone Mike at (810) 338-9771 prior to bidding. 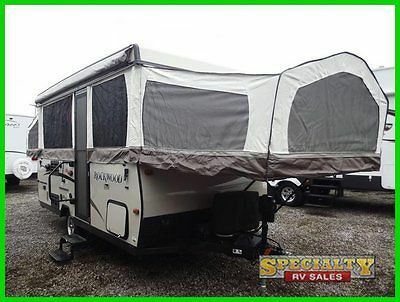 Buyers Inspection: Specialty RV Sales has done our best to disclose all information known about this vehicle for auction. Specialty RV Sales welcomes a buyers inspection. If you plan to have a buyers inspection, please make sure you inspect the vehicle prior to the auction ending. Inspection fees if any are Buyers responsibility. Representations and Warranties made by seller: This vehicle is being sold "as is". Manufacturer's warranties may still apply. Extended warranty may be available, e-mail or phone Mike at (810) 338-9771 for details. No representations or warranties are made by seller, nor are any representations or warranties relied upon by bidders in making bids. Taxes and Registration fees: Out of state buyers are responsible for all state, county, city taxes and fees, as well as title service fees in the state that the vehicle will be registered. All taxes and fees must be paid in full in order for vehicle to be titled and registered. Title Information: Vehicles titles may be held by banks or lenders as collateral for loans. In many cases there is a delay in receiving the original instruments up to 21 days from the time we pay a vehicle off. While we usually have all titles in our possession at closing, there are occasions where we may be waiting for them to arrive. If payment is made by cashier's or personal checks we will hold all titles for 10 days or until funds have cleared. Shipping & Delivery: All shipping charges are buyer's responsibility. Specialty RV Sales will help with shipping arrangements but will not be responsible in any way for claims arising from shipping damage!Licensed Carriers are generally insured for $3,000,000.00. We assume no responsibility for damages incurred after the vehicle leaves our showroom. All shipping arrangements are provided by Specialty RV Sales as a courtesy. We are not affiliated with any carrier. Any claims or other communication regarding shipment of vehicles will be between you and the shipper, not with Specialty RV Sales. The amount of time it takes for delivery is dependent on the carrier, but is generally 7-14 days from the date the vehicle is picked up from our facility until it is delivered to your destination. Verify with the shipper for an Estimate Time of Arrival to be sure. Finalizing your Purchase: Specialty RV Sales will contact the successful high bidder by e-mail after the auction closes. Successful high bidder MUST communicate with Mike at Specialty RV Sales by e-mail or phone (810) 338-9771 within 24 hours of the auction ending to make arrangements to complete their transaction. If we cannot confirm your intention to buy or the sale is not completed within 5 days, we reserve the right to relist this vehicle or sell to any other qualified buyer. In order to secure bid on vehicle, Successful bidder (BUYER) must within 24 hours of bid closing send to Seller a Deposit in the amount of 10% by major credit card, cash in person or bank certified funds. Within 72 hours of bid closing, Buyer must send balance of funds by bank wire transfer, cash in person, bank certified funds to Seller. At time of sending initial deposit, Buyer MUST fax copy of their State issued valid Driver License. Furthermore, before said vehicle is released for shipment to Buyer, all other Sale related and title related paperwork must be signed and returned complete to Seller. Price As always we have set the price thousands below NADA to give you the best deal! If you need any help with easy financing, or have any questions please call me at (740) 652-1919. Contact Information If you want to make an offer, or talk about the Buy It Now price, CALL ME – (740) 652-1919. Our Dealership We promise you’ll enjoy your experience with Immaculate Auto. We’ll gladly pick you up at the Columbus International Airport or deliver the vehicle to your doorstep. We have been selling RV’s for the past 11yrs. Our helpful staff is on hand to help with questions on shipping, financing, vehicle condition or anything else about the buying process. We have done this many times. Please let our experience help you make this a great experience. Financing Specialty Rv Sales offers competitive financing nationwide. Even if you already have financing, in most cases we can match or beat the rate, and you get the added benefit of a one stop shop. Fill out our easy online application to finance your next new or used camper purchase. We can help you finance your next vehicle purchase even if you have less than perfect credit. If you have any questions CALL ME – (740) 652-1919. Or email me at ryanc@specialtyas.com We Offer: · Rates as low as 4.49% · Quick and easy online application · Pre-approval for auto financing Warranty This Rv is NEW and has FULL Manufactures warranty , expressed written or implied. The seller shall not be responsible for the correct description, authenticity, genuineness, or defects herein, and makes no warranty in connection therewith. No allowance or set aside will be made on account of any incorrectness, imperfection, defect or damage. Any descriptions or representations are for identification purposes only and are not to be construed as a warranty of any type. It is the responsibility of the buyer to have thoroughly inspected the vehicle and to have satisfied himself or she as to the condition and value and to bid based upon that judgment solely. The seller shall and will make every reasonable effort to disclose any known defects associated with this vehicle at the buyer's request prior to the close of sale. Seller assumes no responsibility for any repairs regardless of any oral statements about the vehicle. Extended Warranty Manufacturer and extended warranties may be available. Please contact me at (740) 652-1919. Shipping We provide free shuttle service from the Columbus International Airport to our dealership. If you decide to pick-up your purchase, make a vacation out of your trip and come see all Hocking Hills has to offer. Specialty Rv is located near the Popular Hocking Hills Territory If you prefer to have your vehicle shipped we have secured great rates with various shipping companies. If you are financing and would like to include the shipping costs into the loan please call me BEFORE securing your financing for a shipping quote. Synergy Transport is our preferred shipping company. We have been doing business with Synergy for over 10 years, and their service is unparalleled. For a shipping quote please CALL ME – (740) 652-1919. If you prefer to use your own shipping company contact me to make the shipping arrangements. Trade-Ins We accept most trade-ins please call me at (740) 652-1919. Below is an example of the information we need to evaluate your trade in. VIN #: (Full 17 digit VIN #) Year: Make: Model: Trim: Miles: (Estimated mileage upon arrival) Color (Exterior): Color (Interior): Options: Condition: History: Photos: 5-15 digital photos is greatly appreciated Payoff: Total Amount: $ Payment: $ Bank Name: Payment Method (For new vehicle purchase): (Finance, certified check, or cashier’s check) Store Check out our other inventory in our store by clicking on the little red door. Why Buy an RV from Specialty Rv 1. We offer competitive nationwide financing 2. Wholesale pricing 3. Friendly service 4. We take most trade-ins 5. We ship worldwide 6. All of our vehicles have a 125-point inspection FAQs 1. Does the vehicle look like the pictures? Yes, the photos are taken of the actual vehicle at our location using a digital camera. Our photos are NEVER photoshopped. 2. Where do you get your RV’s? Most of our RV’s are new. We also have used from local purchases, etc. 3. Do the Rv’s have a clean title? Yes, every vehicle we sell has a clean and clear title. There are no liens, no salvage or branded titles due to accidents, floods, manufacturer buybacks, etc. 4. Are you a dealer or private seller? We are a licensed and bonded dealer, and have been in business for over 11 years. 5. What form of payments do you accept? We only accept credit cards for the deposit. The balance must be paid with cash, cashiers check, bank check or bank wire transfer. Our Address Specialty Rv Sales 2445 Columbus/Lancaster Rd. Lancaster, Ohio 43130 Terms & Conditions Winning bidder must contact us within 24 hours of auction end, and make arrangements for payment at that time. A $1000.00 deposit is due within 24 hours of the auction end. The remaining balance is due within 5 days of Auction end. If no contact is made within 24 hours we reserve the right to re-list the vehicle, sell it to the next high bidder, or sell it otherwise. Most banks and credit unions do not finance vehicles older than 2001. Make sure if financing, your financial institution accepts the year of this vehicle BEFORE bidding. Please arrange financing PRIOR to bidding. Buyer is responsible for pickup or shipping of this RV. If you wish to have it shipped using a service, we will gladly help you with the process, or you can locate a list of shippers by doing a Google search for “RV shippers.” We describe our vehicles as accurately as possible. The RV you are bidding is either new or pre-owned and may have some minor flaws in the paint or in the interior. Some RV’s may have had some prior touch up to cover micro chips or scratches. Not all vehicles have a full set of keys, books, navigation CD's, floor mats, or other loose items. Vehicles may have some additional miles from local test drives. If you are not sure about something, please ASK. Do not assume anything not listed is included. We strive to find our customers the highest quality RV’s at the best available prices. We strongly encourage an independent 3rd party inspection BEFORE you bid or buy. Especially when buying sight unseen. We reserve the right to cancel any bid for excessive negative feedback. We also reserve the right to end any listing if the RV is no longer available for sale. Please do not bid on this auction unless you are serious about owning this vehicle. All non-paying high bidders will be reported to eBay, and a negative strike will go against the buyer as the result of an unpaid item being filed. PLEASE ONLY BID WHAT YOU ARE WILLING TO PAY. If the reserve is not met, we reserve the right to contact the high bidder to offer a second chance option. Fee and Tax Information There is a $250 documentation fee, $15 title fee, $18.50 30 day tag, on all transactions and a 3% fee on all credit card charges. The sales tax for the State Of Ohio residents ranges from 6% to 7%. Effective February 1, 2005 certain nonresidents may not claim the "out-of-state buyer" exemption (Section 5,Box A of Form ST-556, Sales Tax Transaction Return) on purchases of motor vehicles or trailers. These states include: Arizona, California, Florida, Hawaii, Indiana, Massachusetts, Michigan and South Carolina. Kindly make sure to call or email us after your purchase for more details. Customer Testimonials (INSERT TESTIMONIALS & PICTURES HERE) Video https://www.youtube.com/watch?v=nLPVzL8n1Q0 Copyright © 2015 Auction123 - All rights reserved. - Disclaimer +- Auction123 (a service and listing/software company) and the Seller has done his/her best to disclose the equipment/condition of this vehicle/purchase. However, Auction123 disclaims any warranty as to the accuracy or to the working condition of the vehicle/equipment listed. The purchaser or prospective purchaser should verify with the Seller the accuracy of all the information listed within this ad. Selling a Vehicle? Create Professional Listings Fast and Easy. Click Here!